Crack. Sip. SKOL. Repeat. Football season is finally upon us, which means heading to your favorite bar, kicking back, watching the Vikes toss around the ‘ol pig skin, and enjoying an ice-cold brew. That’s what 48% of sports fans are doing this fall (although their taste in teams might not be as impeccably chosen). While sipping my Miller Lite as Blair Walsh strides forward to kickoff, I can hear the angels singing a beautiful and harmonious hallelujah chorus. Is it me, or did the TV just glow? Go ahead, use this to stump your friends and wow them with your smarts. 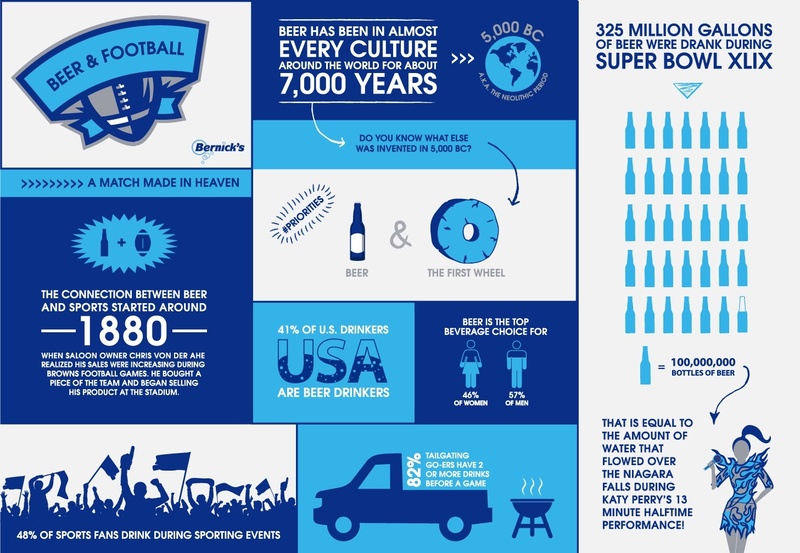 History and math can be fun when you’re talking about the right subjects (like beer and football). Cheers to a great game, a legendary beverage, and leaving the appetizers to someone else.